Heat olive oil in a frying pan. Add diced, onion and cook over a medium heat until translucent and lightly golden in colour. Add whole cherry tomatoes and olives to pan and cook until softened. 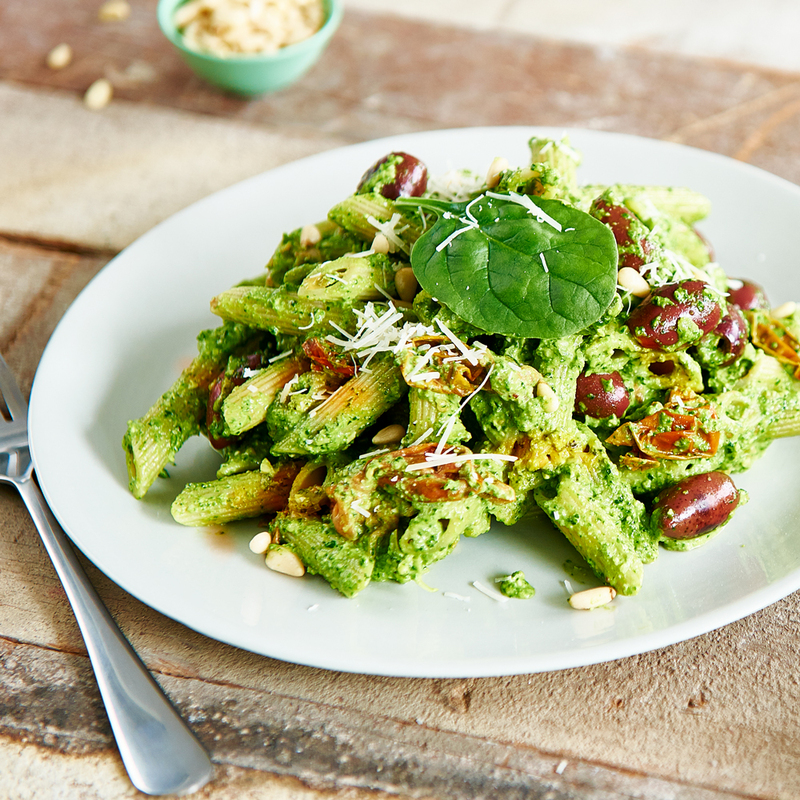 To make pesto: Add to a food processor baby spinach, pine nuts, garlic, salt, cracked pepper and 6 tablespoons of olive oil into a food processor and blend until creamy. Add contents of pan and the pesto to cooked pasta and stir through until well combined. Serve with a grated parmesan, salt and cracked pepper to taste.